And today guys we will take a peek at a new strategy game made for our mobile devices -“Game of Thrones: Conquest”.I know that all of us are fans of the show and there is not so much to talk about the story, but for those who are not familiar, I will make a brief briefing. In this game inspired by the worldwide famous TV show, there are a couple of houses. Each one of them is a sort of a successor of the IRON THRONE. This position is occupied by the ultimate ruler of the whole realm. The mighty king of the throne dies and suddenly a lot of successors emerge and want to take the power of the ultimate king. Of course, there are a lot of battles and twists but if you want to know about them just watch the show. You will be hooked right away. Now let’s talk a little about the game brought here by Warner Bros! Well as you may already know you have to choose one of the houses named in the Tv show and fight your way to conquer the Iron Throne. In the game, players rule a House and take on rivals with massive armies or through sabotage in their fight for control of the Iron Throne. There is a lot of strategies and tactics that you must come up with if you want to be the ultimate ruler. Game of Thrones: Conquest is a free-to-play 2D MMO strategy game available on mobile devices and is set in the realm of Westeros. 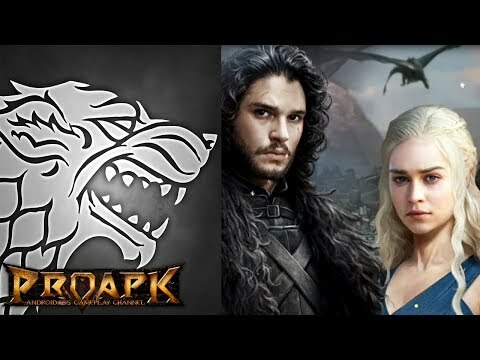 Game of Thrones: Conquest sets itself apart from the crowd with its memorable cast of characters from the hit show Game of Thrones, including Jon Snow, Daenerys Targaryen, Cersei and Tywin Lannister. The game includes all of the features players would expect from a modern mobile city-building strategy game: extensive base-building, soldier management, and guilds all in the quest to capture 120+ iconic locations including Winterfell, Castle Black, and King’s Landing. The biggest fans of the show might be a little disappointed because their expectation is too high, but this is only a game after all! Great game and fun to play!